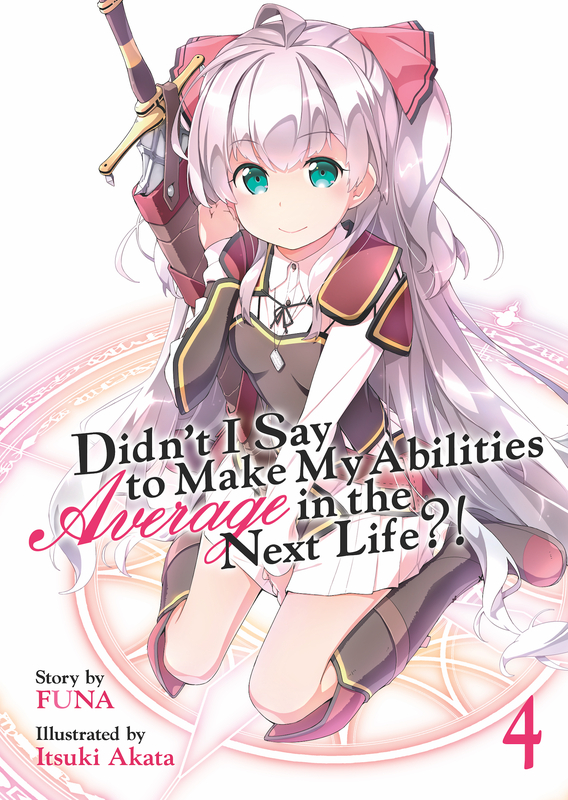 Didn't I Say to Make My Abilities Average in the Next Life?! Novel Volume 4 features story by FUNA and art by Itsuki Akata. When she turns ten years old, Adele von Ascham is hit with a horrible headache--and memories of her previous life as an eighteen-year-old Japanese girl named Kurihara Misato. That life changed abruptly, however, when Misato died trying to aid a little girl and met god. During that meeting, she made an odd request and asked for average abilities in her next life. But few things--especially wishes--ever go quite as planned. Not so keen on this volume and some how Crimson vow does not quite ring true here, too much out of character. They are showing way too much power and, though, they sort of cover on this, too many people are more aware of it. 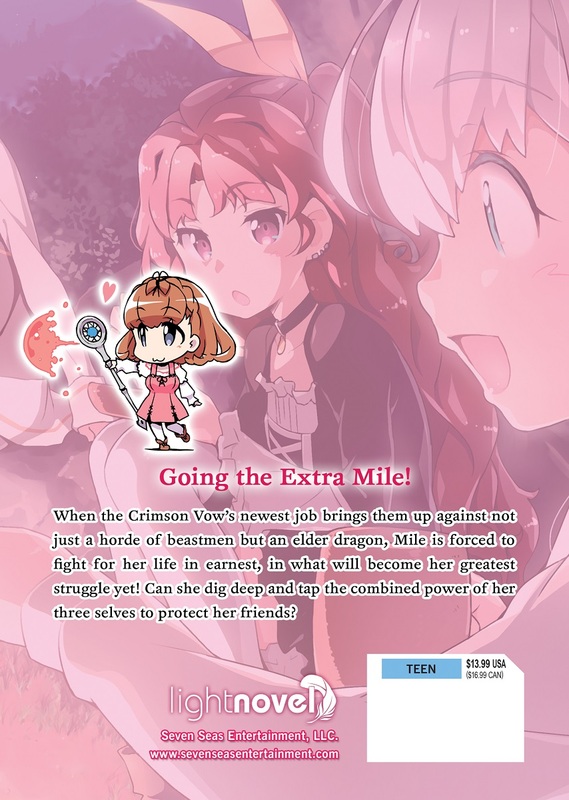 It is also a transition novel, moving them from where they are now into a new stage in the evolution of Crimson Vow, so the next volume might got back to better. There are a few things too, that do not quite line up but I'll let you find those for yourself. Overall readable but not up to the first volumes.